Mistakes happen. One ship transported goods which were so valuable that if it had drowned, the company would have had huge problems. The trousers in the military trend did not sell out also because of the inappropriate means of transport. 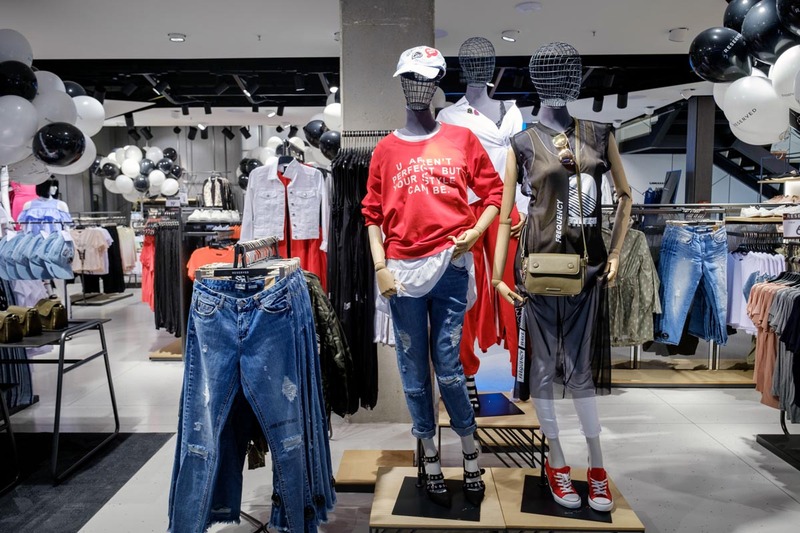 Jacek Kujawa, the Vice-President of LPP – a Polish company which is an owner of such brands as Reserved, Mohito, Cropp, assures that the company learnt from these mistakes. In the interview with Trans.INFO, he revealed why the company does not transport its products in its own vehicles, what the difference is between the transport of an ordinary black t-shirt and the dress picked up by a celebrity and why his industry is not called “fast fashion” any longer. Dorota Ziemkowska, Trans.INFO: LPP’s strategy assumes that the new collection appears at the same time in all of your shops. How is that possible in such a large company? You have over 1700 shops in 21 countries. 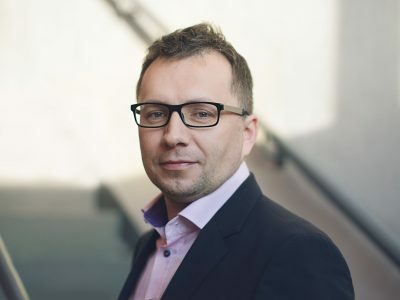 Jacek Kujawa, Vice-President of the LPP Board: To be honest, we do not mean 100 percent of the shops, but nearly 90 percent. In this scale it is possible. However, it is necessary to properly prepare our warehouse, plan the transport and build the whole supply chain which will make it happen. We should also remember that delivering the products on the same day to all the shops is one thing. It is equally important to deliver the products which are already sorted. We do not have a standard set of boxes or pallets. We send the products individually to every shop – every transport is separately prepared and adapted to a given shop. Some shops would receive 5 items of one model or colour, while the others would get 50. How do you select these 90 percent of shops where the timely delivery is possible? Of course, we would like to ensure such a delivery in 100 percent of our shops. However, 10 percent are difficult cases, where we are not able to do this. For example, some shops in the Middle East and remote, hardly accessible regions of Russia. In these shops, timely delivery would have to be conducted solely by air transport, which we try to avoid due to high costs. So, what is the delay in delivery of the new collection in these cases? It is hard to say because the products are sent to these shops in completely different cycles. You mentioned that the proper preparation of the warehouse is very important. 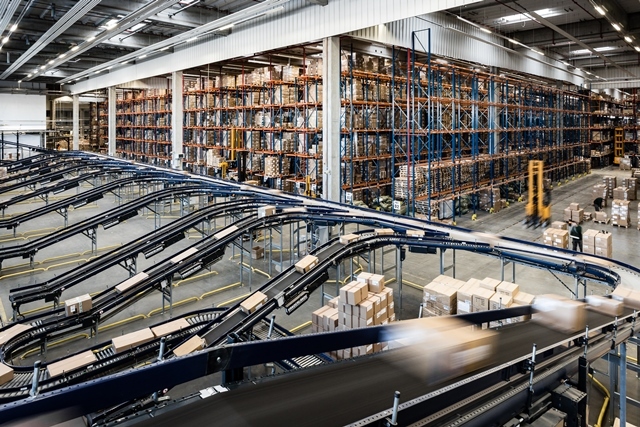 The biggest role is probably played by the warehouse in Pruszcz Gdański, from which 80 percent of your products are sent to the shops all over the world. How is that possible? It is essential that the centre is able to sort the products to single pieces. Moreover, it must have the reserve sorting power and machines to successfully support the peaks when we send much more products than usually. Such peaks are very noticeable in our industry. Mostly, they are connected with the seasonal change of collections – sale of the old collection and launch of the new one. 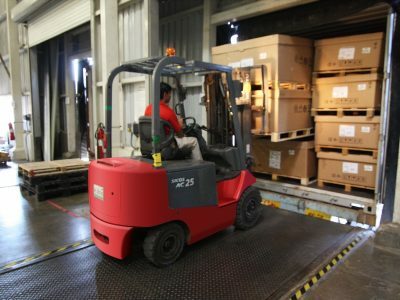 During this period, our warehouse needs to be ready to sort the huge volumes of products. There is also another issue which does not result from the seasonal peaks. 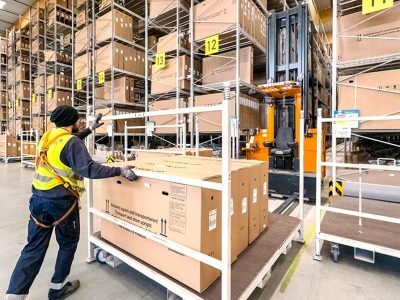 The products intended for the most remote shops need to be sorted very fast and well in advance so that we will be able to ensure a timely delivery. This is the secret of our successful delivery to nearly all the shops on a single day – the whole area is divided into remote, closer and distant countries. Then, well in advance, we start sorting the products intended for the most remote locations. After the sorting process is complete, we pack the products to the trucks and immediately send them from Pruszcz Gdański to the specified shops. What is the reason for this centralization? You send 4/5 of the clothes from one distribution centre in one country. Maybe, it would be a better idea to build other centres, closer to the shops? If we consider the way the logistics is built, there are two main models. One says to centralize the stocks in one place to manage them easier and send them exactly where they will be needed. We keep a central stock to supply the products to our shops as effectively as it is possible. The second theory recommends to keep the stocks close to the customer, in our case close to the shop, to decrease the costs of logistics. We have chosen the first model according to which we keep the central provisions of goods in order to manage them properly. It is simply justified. We want to sell as many products as we can during the regular season. If you look at our industry and the differences in prices between the season and the sale, you will see that it is really worthwhile to focus on the former so that to sell as many products as it is possible at regular prices. We have carried out many analyses and studies showing that the products sell differently depending on the shop. There are places where some things sell very quickly while in others the same things still lay on the shelves. They wait for the sale to come, and we have to significantly reduce their prices. These analyses were our driver of change. We realized that big logistics and IT efforts, allowing us to estimate the best time to send the products from the warehouse, really pay off. However, there is one exception. Apart from Pruszcz Gdański, there is another LPP’s distribution centre which sends the products to the shops. I think about the one in Moscow. Does it mean that you will open more centres in other countries? I do not want to speculate. I may explain the reason for this exception. We have a lot of shops in Russia; some of them are located in very distant regions. In addition, there are problems with customs clearance on the Russian boarder, which is quite stringent. These were very strong reasons for us to send a part of the production, however not all of it, to the warehouse in Moscow. What is the difference in planning the logistics for import and export? I wonder because you have completely different methods for these two aspects. You predominantly use maritime transport for the former – even 82 percent. On the other hand, export is practically in 100% dominated by road transport, at least it is shown by the data of 2017. It is not exactly like that. At present, we are increasing the supplies by other means of transport than maritime transport due to the changes in the industry. The industry is traditionally called ‘fast fashion’. However, in recent years, customers have required even faster access to the newest models than ever before. This tendency is so strong that the industry has started being called ‘faster fashion’. Fast is not enough anymore! This, in turn, exerts a huge pressure on shortening supply chains. And, the focus is not on the distance, but on the time. Only a few years ago, the whole collection was made before the season. Then, it slowly appeared in shops. The process could take several weeks. Nowadays, the period from creating the idea and design to launching the products in shops does not take longer than 3-4 weeks. Therefore, transporting products from China by ship, which takes 4-5 weeks, is no longer a single universal method. Today we can see that the whole import chain must be complicated. We have to understand that some products may be delivered slowly but economically, and some must be delivered very fast, for example by plane or truck. Does this mean that LPP will rely stronger on road transport which is faster than maritime transport? I cannot reveal such details. However, honestly, we used to perceive logistics and import mainly through the prism of costs. The goal was to make it as cheap as possible. Today, we focus on flexibility and ability to use different means of transport depending on the type of the goods transported. If we think about a black t-shirt, a typical basic that is not easily influenced by fashion changes and which can be designed and manufactured well in advance, we know that maritime transport will be the best option here. It will be the cheapest and the most effective. But in the case of a dress which has just become trendy because some celebrity wore it or someone started promoting it, of course maritime transport is out of question. We need to make the dress very fast. We can either produce it in a factory nearby and then transport it by truck, or we can choose a more distant factory and delivery by plane. That means that the delivery method of a piece of clothing can change from one season to another! That’s right. We have an interesting example. It has been analysed thoroughly even on the Board’s meetings. We produced trousers in the military trend. One model was launched in the shops and sold very well. So, we based the delivery of similar trousers on the history of this model. What happened? A total disaster! All our estimates failed. The trousers did not sell out. We were thinking about it and we realized that simply the military trend had finished meanwhile. To what extent was the selected delivery method to be blamed? Definitely, it was important. But, please, remember that fashion is unpredictable. Some trends last for a long time, some are quite short-term, while others appear as flashes – they are fashionable for a moment and quickly disappear. This is a normal risk in this industry. Sometimes even strictly basic models which considered as a cert may suddenly sell much worse. Because the market is saturated, the customers have already got bored with this model and want to seek for new designs. So, as I mentioned, flexibility is of the utmost importance. So, in what time horizon do you plan your deliveries? Very differently. Of course, we know more or less what production quantity will be delivered in particular weeks and months to ensure certain warehouse throughput and appropriate operating capacities. However, individual deliveries are planned ad hoc. In some cases, we reserve the factory capacities long before the production starts. Because, if we want to design and make a model very fast, starting negotiations with the factory at this moment would take us too much time. So, when we design a product, we already know that there is a factory waiting for us and ready to manufacture what we need. Then, you have to determine terms of delivery with the carriers. LPP hires subcontractors. Wouldn’t it be more convenient if you had your own fleet? Indeed, we do not have our own fleet, except for a few cars. We used to have a fleet but we realized that we were not as fast as the professional carriers. And, due to the fact that we are currently operating in 22 countries, it would be too difficult for us to organize the deliveries on our own. Let’s remember that deliveries are not our core business. However, as you mentioned, they are a very important factor. Yes, but there are a lot of companies specialized in this industry which can do the work for us. So, I think that we can safely focus on something else. If you analyse our logistics model, you will see that we outsource import deliveries and the distribution from the warehouse centre to the shops, but we manage our logistics centres using our own resources. There are a lot of carriers and distribution companies. But there are few companies that can operate a warehouse of such a size and automation level. There are a lot of carriers, but you still need to verify them. Who does it for LPP? LPP cooperates only with regular partners, but do you also use market orders? We try to have contracts which enable long-term cooperation, but in unexpected situations we also search for services in the market. And, even our regular contractors are verified once in a while. What does it mean “once in a while”? More or less every three months. Unless we are alarmed that something is wrong earlier. The volume of production which leaves the distribution centre in Pruszcz Gdański is huge. So in the Polish market, to take an example, we have a few carriers, rather than just one. Not only because one carrier would not be able to transport all the products, but also because carriers sometimes have weaker moments, to say the least. The cooperation with only one company in the market brings the risk that if something happens we will not be able to quickly respond and, let’s say, move the volume of production to another company. We had such a situation last year in the Romanian market, but I would rather not elaborate on that. So, maybe a different question. Have you decided to change the way you cooperate with the carriers due to these situations? Yes, for example, as was mentioned, we try to have at least two companies rendering a given service in each market. Unless the market is so small that it is hard to divide it among a few carriers. We need to remember that the volume is very important during price negotiations. When we diversify the partners in a small market we decrease our power in the contract negotiations. Furthermore, in many countries we try to shift from the model of general cargo sent from Pruszcz Gdański in LTL (Less Than Truck Load) to the FTL distribution (Full Truck Load), which is much more profitable and often ensures better quality. It turns out very often that small distributors coming from a given country are better in this market than international companies. However, using this strategy, we always have to gather the volume to make this regular FTL distribution, conducted twice a week, economically reasonable. So, the strategy in small markets also depends on many factors. Let’s go back to the question of the selection of the carriers used by LPP. What are the most important criteria that must be met by such companies? Each time we chose a partner, we organize a tender because usually big volumes and high amounts are considered. Then we verify the experience and if the company is able to meet our special requirements regarding deliveries to the shops. For nearly two years, we have been modifying our distribution and focusing on night deliveries. We expect that our products be delivered to the shops before their opening hours. Therefore, when our employees come to work they do not need to wait for the courier, but they can immediately accept the products, which increases our flexibility. So, we check if the carriers are experienced in the deliveries within specific time frames. And apart from the experience? Does LPP require e.g. telematics? Does it check the routes of the trucks? And do you have any requirements concerning parking lots where the drivers may stop? Our transport is based on single consignments, so tracking each box individually is practically impossible. We have clearly defined directions and deadlines, and we check if the delivery was successful using our IT systems. We only expect IT integration from our carriers; we do not require any exchange of documents etc. So, how do you take care of the safety of the whole supply chain? I mean especially things that may happen on the road. Clothes are one of the most frequently stolen goods. We leave the issue of safety entirely in the hands of our carriers. Of course, we are insured, and we expect our partners to have a proper insurance too. Besides, we always perfectly know which products were sent. We can even check if the package entered the truck or if it reached the shop thanks to the video recordings. You mentioned the insurance. Do you require any specific provisions in the insurance policies? We require certain insurance amount. We always check the value of the transport sent by the carrier. Once we analysed the value of the goods that can be transported on one ship. Even though our insurance was very high, it was still not sufficient in relation to this value of goods! Moreover, our analysis has shown that if something happened to the ship during the season and it drowned, it would cause serious problems for the whole company. Thus, we have decided to diversify maritime transport. We have determined the value which cannot be exceeded by the products transported by one ship. And, we stick to it.